The San Francisco 49ers and San Francisco Giants will sell a limited number of autographed lithographs featuring two legends - 49ers Hall of Famer Dwight Clark and MLB Hall of Famer Willie Mays, each holding images of their iconic catches. 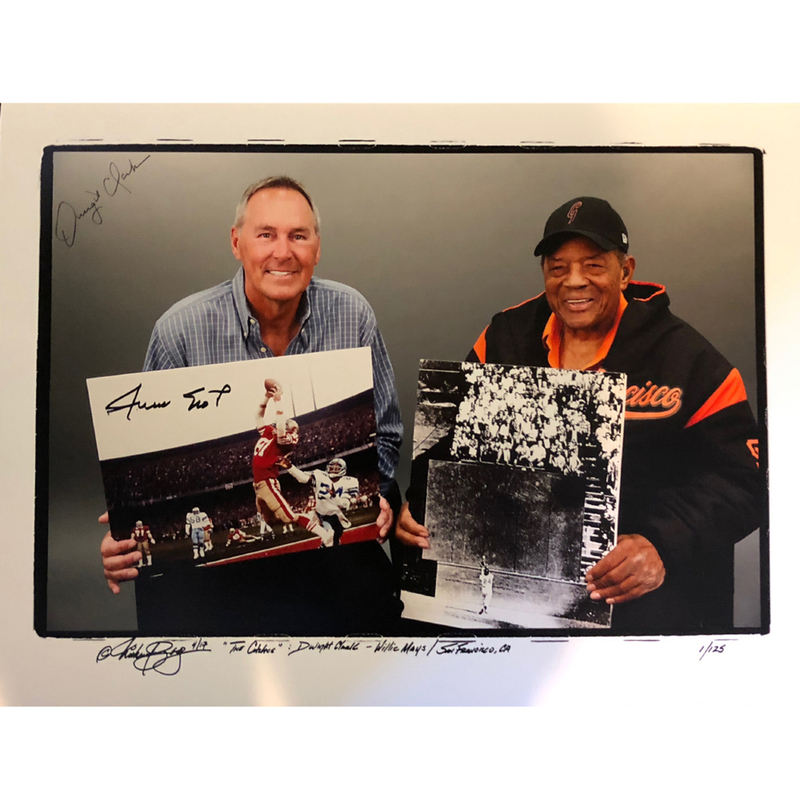 With only 125 signed lithographs, the rare piece of Bay Area professional sports history can be purchased for $487. 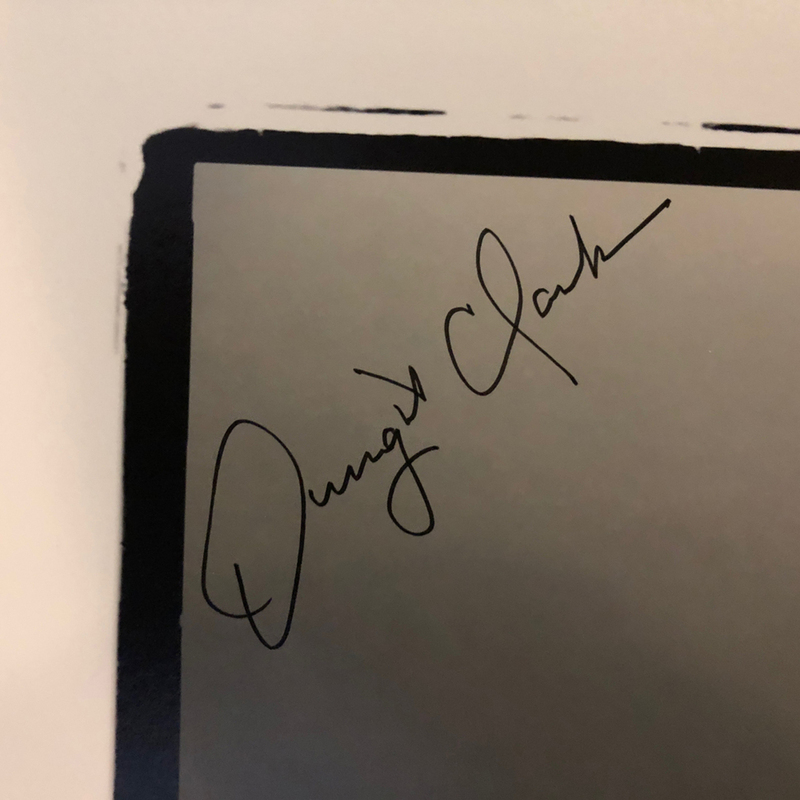 Net proceeds from the lithographs will go to support Clark's charity of choice, the Golden Heart Fund, which was established in 2016 to support 49ers alumni in need of financial, medical, psychological or emotional support. 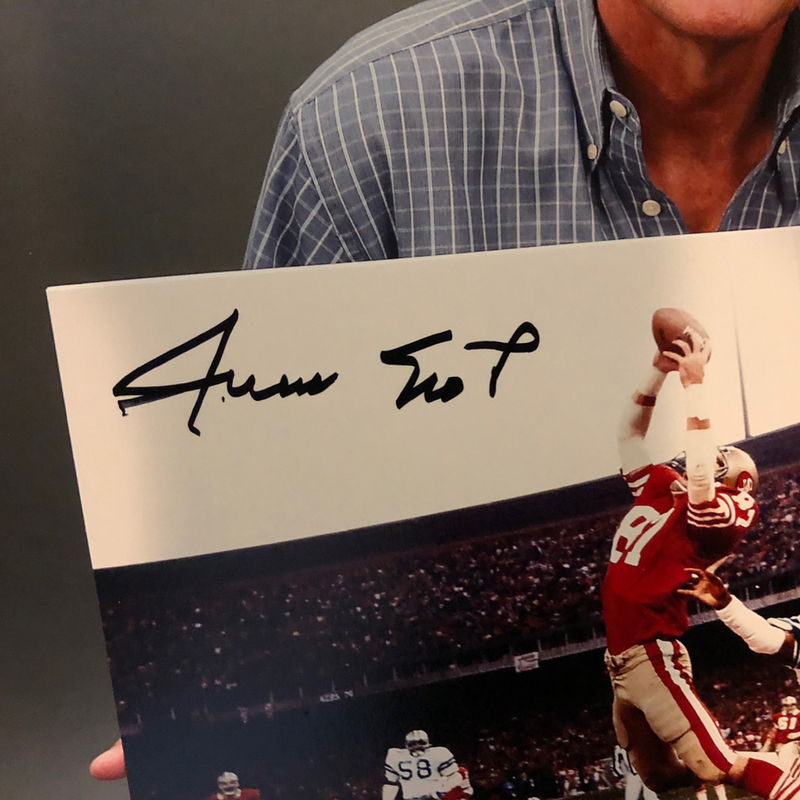 "Dwight valued his teammates like they were family and that's why the Golden Heart Fund and its mission to support 49ers alumni during their times of need was so important to him," said Keena Turner, Clark's 49ers teammate from 1980-87. "We'll never forget Dwight and the passion he showed for life and we're happy that his eternal commitment to his teammates will live on with the sale of this wonderful piece of art." 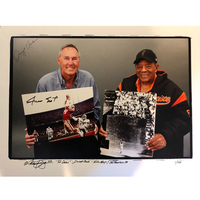 The image of the two iconic sports legends was taken at AT&T Park on April 29th, 2017, by legendary Bay Area photographer Michael Zagaris, with both holding signed images of their respective versions of "The Catch."